How easy would our life be if we simply took an already designed framework, executed it, and got the desired result? Minimum effort, maximum reward. Isn’t that what we strive for in any profession? I feel incredibly lucky to be part of our machine learning community where even the top tech behemoths embrace open source technology. Of course it’s important to understand and grasp concepts before implementing them, but it’s always helpful when the ground work has been laid for you by top industry data scientists and researchers. This is especially true for deep learning domains like computer vision. Not everyone has the computational resources to build a DL model from scratch. That’s where predefined frameworks and pretained models come in handy. And in this article, we will look at one such framework for object detection – YOLO. It’s a supremely fast and accurate framework, as we’ll see soon. 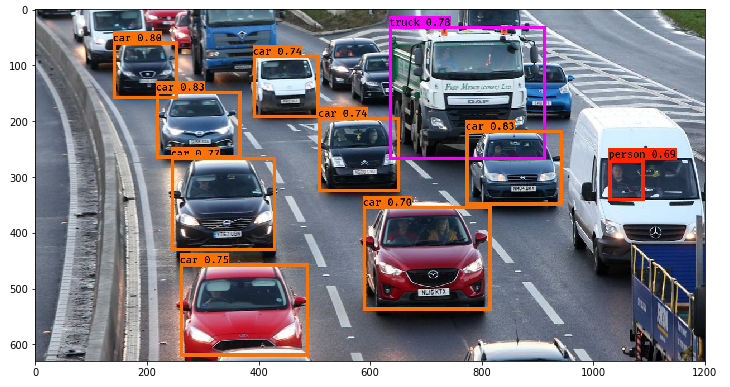 So far in our series of posts detailing object detection (links below), we’ve seen the various algorithms that are used, and how we can detect objects in an image and predict bounding boxes using algorithms of the R-CNN family. 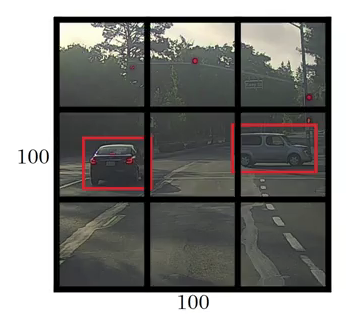 We have also looked at the implementation of Faster-RCNN in Python. 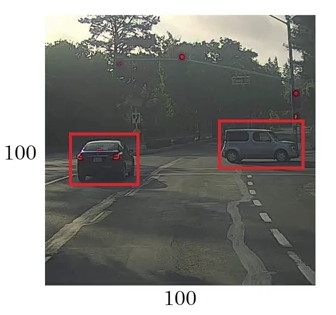 In part 3 here, we will learn what makes YOLO tick, why you should use it over other object detection algorithms, and the different techniques used by YOLO. Once we have understood the concept thoroughly, we will then implement it it in Python. It’s the ideal guide to gain invaluable knowledge and then apply it in a practical hands-on manner. What is YOLO and Why is it Useful? How does the YOLO Framework Function? How to Encode Bounding Boxes? The R-CNN family of techniques we saw in Part 1 primarily use regions to localize the objects within the image. 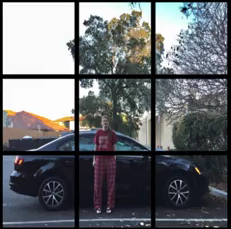 The network does not look at the entire image, only at the parts of the images which have a higher chance of containing an object. The YOLO framework (You Only Look Once) on the other hand, deals with object detection in a different way. It takes the entire image in a single instance and predicts the bounding box coordinates and class probabilities for these boxes. The biggest advantage of using YOLO is its superb speed – it’s incredibly fast and can process 45 frames per second. YOLO also understands generalized object representation. 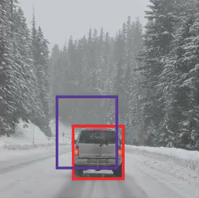 This is one of the best algorithms for object detection and has shown a comparatively similar performance to the R-CNN algorithms. In the upcoming sections, we will learn about different techniques used in YOLO algorithm. 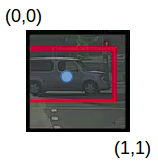 The following explanations are inspired by Andrew NG’s course on Object Detection which helped me a lot in understanding the working of YOLO. Now that we have grasp on why YOLO is such a useful framework, let’s jump into how it actually works. In this section, I have mentioned the steps followed by YOLO for detecting objects in a given image. 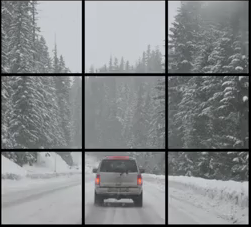 Image classification and localization are applied on each grid. YOLO then predicts the bounding boxes and their corresponding class probabilities for objects (if any are found, of course). Pretty straightforward, isn’t it? Let’s break down each step to get a more granular understanding of what we just learned. Since there is an object in this grid, pc will be equal to 1. bx, by, bh, bw will be calculated relative to the particular grid cell we are dealing with. Since car is the second class, c2 = 1 and c1 and c3 = 0. So, for each of the 9 grids, we will have an eight dimensional output vector. This output will have a shape of 3 X 3 X 8. We will run both forward and backward propagation to train our model. During the testing phase, we pass an image to the model and run forward propagation until we get an output y. In order to keep things simple, I have explained this using a 3 X 3 grid here, but generally in real-world scenarios we take larger grids (perhaps 19 X 19). Even if an object spans out to more than one grid, it will only be assigned to a single grid in which its mid-point is located. We can reduce the chances of multiple objects appearing in the same grid cell by increasing the more number of grids (19 X 19, for example). Notice here that bx and by will always range between 0 and 1 as the midpoint will always lie within the grid. Whereas bh and bw can be more than 1 in case the dimensions of the bounding box are more than the dimension of the grid. In the next section, we will look at more ideas that can potentially help us in making this algorithm’s performance even better. IoU = Area of the intersection / Area of the union, i.e. If IoU is greater than 0.5, we can say that the prediction is good enough. 0.5 is an arbitrary threshold we have taken here, but it can be changed according to your specific problem. Intuitively, the more you increase the threshold, the better the predictions become. There is one more technique that can improve the output of YOLO significantly – Non-Max Suppression. Here, the cars are identified more than once. The Non-Max Suppression technique cleans up this up so that we get only a single detection per object. Let’s see how this approach works. There is another method we can use to improve the perform of a YOLO algorithm – let’s check it out! The first 8 rows belong to anchor box 1 and the remaining 8 belongs to anchor box 2. The objects are assigned to the anchor boxes based on the similarity of the bounding boxes and the anchor box shape. Since the shape of anchor box 1 is similar to the bounding box for the person, the latter will be assigned to anchor box 1 and the car will be assigned to anchor box 2. The output in this case, instead of 3 X 3 X 8 (using a 3 X 3 grid and 3 classes), will be 3 X 3 X 16 (since we are using 2 anchors). So, for each grid, we can detect two or more objects based on the number of anchors. Let’s combine all the ideas we have covered so far and integrate them into the YOLO framework. In this section, we will first see how a YOLO model is trained and then how the predictions can be made for a new and previously unseen image. Consider the scenario where we are using a 3 X 3 grid with two anchors per grid, and there are 3 different object classes. So the corresponding y labels will have a shape of 3 X 3 X 16. Now, suppose if we use 5 anchor boxes per grid and the number of classes has been increased to 5. So the target will be 3 X 3 X 10 X 5 = 3 X 3 X 50. This is how the training process is done – taking an image of a particular shape and mapping it with a 3 X 3 X 16 target (this may change as per the grid size, number of anchor boxes and the number of classes). The new image will be divided into the same number of grids which we have chosen during the training period. For each grid, the model will predict an output of shape 3 X 3 X 16 (assuming this is the shape of the target during training time). The 16 values in this prediction will be in the same format as that of the training label. The first 8 values will correspond to anchor box 1, where the first value will be the probability of an object in that grid. Values 2-5 will be the bounding box coordinates for that object, and the last three values will tell us which class the object belongs to. The next 8 values will be for anchor box 2 and in the same format, i.e., first the probability, then the bounding box coordinates, and finally the classes. 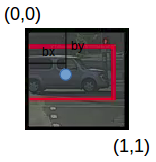 Finally, the Non-Max Suppression technique will be applied on the predicted boxes to obtain a single prediction per object. Time to fire up our Jupyter notebooks (or your preferred IDE) and finally implement our learning in the form of code! This is what we have been building up to so far, so let’s get the ball rolling. The code we’ll see in this section for implementing YOLO has been taken from Andrew NG’s GitHub repository on Deep Learning. You will also need to download this zip file which contains the pretrained weights required to run this code. How does the outlook look? ‘scores’ represents how likely the object will be present in the volume. ‘boxes’ returns the (x1, y1, x2, y2) coordinates for the detected objects. ‘classes’ is the class of the identified object. After loading the classes and the pretrained model, let’s use the functions defined above to get the yolo_outputs. # Generate colors for drawing bounding boxes. Not bad! 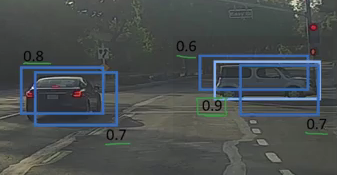 I especially like that the model correctly picked up the person in the mini-van as well. We send an input image to a CNN which outputs a 19 X 19 X 5 X 85 dimension volume. YOLO is one of my all-time favorite frameworks and I’m sure you’ll see why once you implement the code on your own machine. 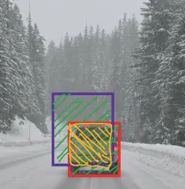 It’s a great way of getting your hands dirty with a popular computer vision algorithm. If you have any questions or feedback regarding this guide, connect with me in the comments section below. How does YOLO compare with Faster-RCNN for detection of very small objects like scratches on metal surface? 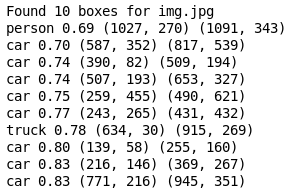 My observation was – RCNN lacks an elegant way to compute anchor sizes based on dataset… also I attempted changing scales,strides,box size results are bad. How do we custom train for YOLO? YOLO is faster in comparison to Faster-RCNN. Their accuracies are comparatively similar. YOLO does not work pretty well for small objects. This may give better results. Is this Yolo implemented on GPU based? How to training Yolo for customize object? Is are sany yolo code or tutorial using Tensorflow GPU base is available ? I only want to did detect vehicles. Yes, I have trained this model on GPU. For customized training, you can pass your own dataset and the bounding boxes and train the model to get weights. Hope you will be in good health. Kindly explain the steps for the training of Yolo on GPU for vehicles only. Where is the training code file? Explain the step of passing the dataset? Explain the step of passing the bounding box? Please refer to this GitHub link. Link to download back-end weight is not working. The link is working fine at my end. Can you please share what is the error that you are getting? Link to download pretrained weights for backend, which is a OneDrive link, not have said file. Once you open the link, there will be an option to download the zip file on the top right side. Hi PulKit, Very nicely explained article. [object(y/N)(1),coordinates of boundary box(4),5 classes(1 for each class) ] X no. of anchor boxes . I can’t find any zip file of pretrained weights for backend too. So, what should I do. The pretrained weights can be found in this link. I have mentioned it in the article as well. I followed the instructions as given but there are a lot of errors in classification. It is identifying objects but not correctly. Any reason why this might be happening? Can you share some of the results? You can try to train your own model as well instead of using the trained weights. I have not yet tested YOLO for detecting faces. 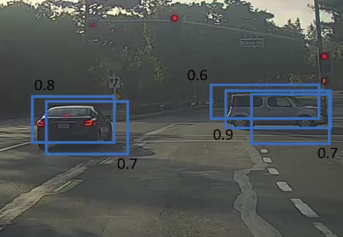 For object detection it is faster than most of the other object detection techniques so, I hope it will also work good for face detection. I am currently working on the same project. First I will try different RNN techniques for face detection and then will try YOLO as well. Then only we can compare it with the other techniques. I will share the results as soon as I am done with this project. The article explains the concept with ease. Thanks for the nice article. I want to implement the YOLO v2 on a customized dataset. The input dimension is greater than the required size of YOLOv2(400×400 pixels). My doubt is should I resize the images and annotated them or is it fine to train the model with original annotations and resized images? If you are resizing the image, annotations should also be resized accordingly. If you use the original annotations, you will not get desired results. You can refer to this article to learn how to train yolo on custom dataset. I’m not able to load yolo.h5. When I so the kernel crashes. What do I do in this case? What is the configuration of your system? Does it have a GPU? If not, try to use Google colab which will give you access to free GPU.